Passenger door alignment still looks good. The door bumpers and seals are not on so I wedged a rag in to take up the space. The old hinges were letting the door sag too much. Looking at the drivers side quarter, I can see that it was replaced some time in the past. It has to go too. Its really beat up. 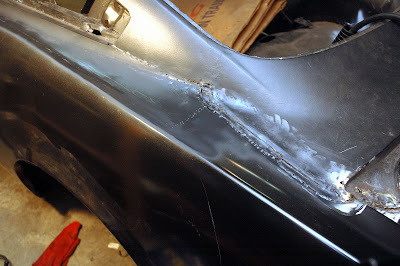 With the quarter panel out of the way, I could make the repairs to the wheel house. After the old metal was removed, it was clear that the quarter was replaced at least twice in the past. There were some really ugly scars in the area. 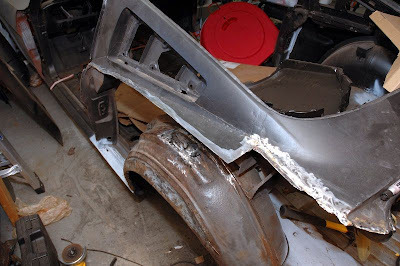 I removed some the old pitted metal so I could install the new lower wheel well patch. Tacked in and ready to weld. The new quarter panel lined up nicely and was welded in. 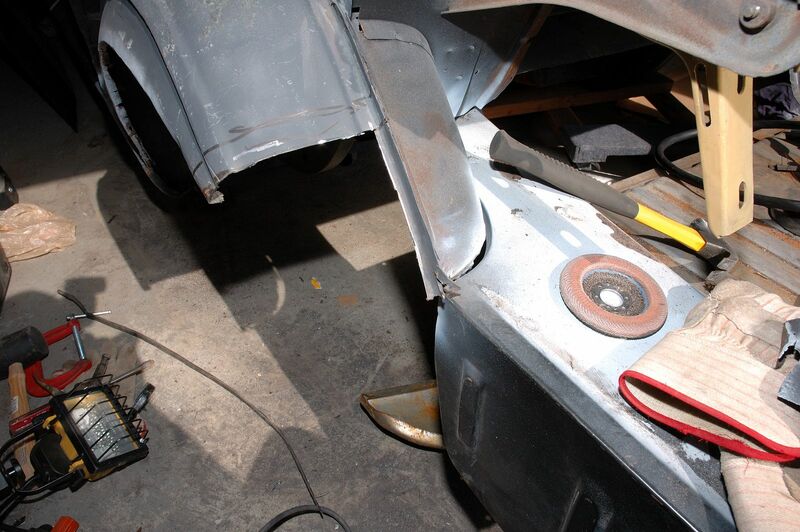 The metal around the side vents was pretty distorted from multiple quarter repairs so I decided to replace it. I would have much rather replaced the quarter and vent as one piece but it didn't work out that way. 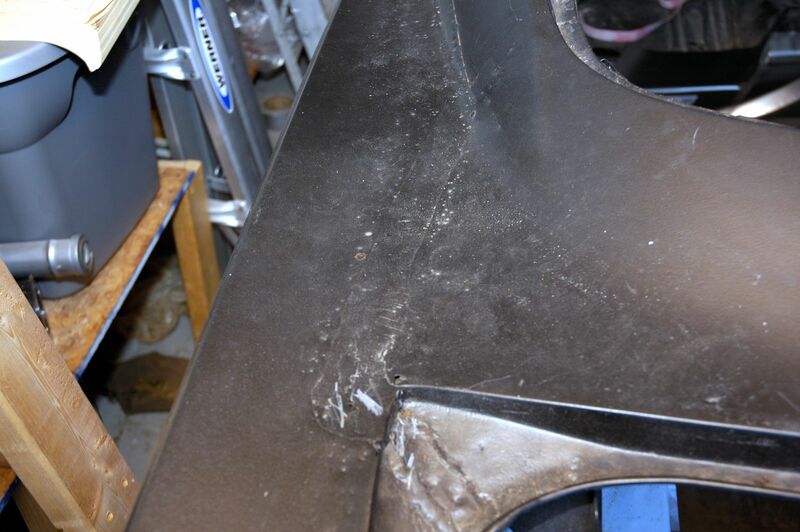 The lead was melted away and factory spot weld were drilled out in preparation to remove the vent opening metal. It was obvious to me that this was not going to be easy. Cleaned up and primed. Ready to go. 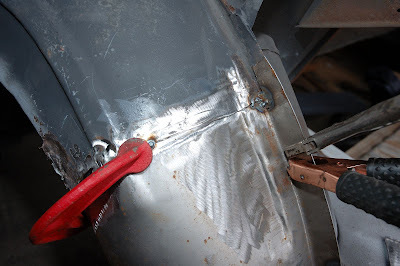 Lined up well and ready to plug weld in place.